You might be wondering, what exactly is this Internet-of-Things you keep hearing about? Recent advances in technology mean that small devices like watches, clocks, alarms, TVs, light switches, electrical plugs, (i.e. “things”) can all connect to the internet. 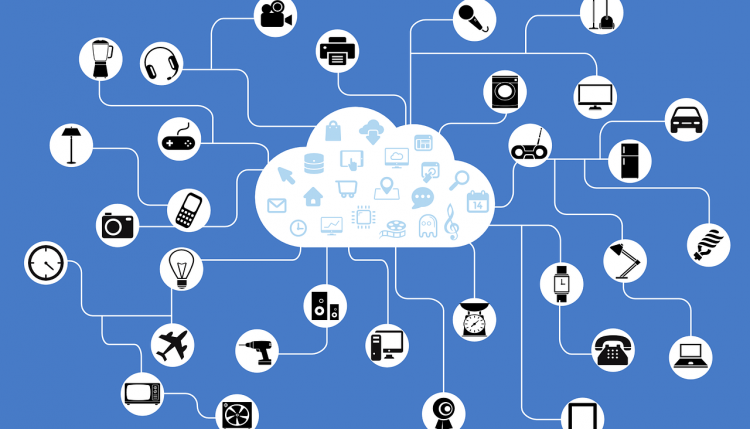 Adding connectivity to these Internet of Things (commonly abbreviated as IoT) devices means they can send data continuously to the cloud and to your smartphone. It also means IoT devices can be controlled by commands sent through the internet from PCs and smartphones. These new functionalities mean a whole new class of devices, like the Seinfeld alarm clock that tells you the weather, are now possible. Nest Learning Thermostat – A Wifi device that controls your home thermostat to optimize both comfort and energy savings. Nest Smoke Alarm + Carbon Monoxide Monitor – A smoke alarm that sends an alert to your phone when it detects smoke. Ring Home Security System – Home security system that allows you to monitor and control your home security from anywhere at anytime with a smartphone app. Roost Smoke Detector Smart Battery – 9V Battery you can install in any traditional smoke detector, which will notify you via a smartphone app if your alarm is going off. Wemo Switch Smart Plug – A Wifi device that enables you to turn power on and off to a plug in your home using your smartphone. There are a lot more IoT products out there, and this is just the beginning. While some of these products carry hefty price tags right now, the cost of this technology will continue to go down and its almost inevitable that everything from you lamps to your coffee maker will be connected to the internet in the future. But IoT technology doesn’t just mean you can start your coffee maker from your bed while you’re still getting up. For businesses and governments, it means that collecting large volumes of data from the physical world is cheaper and easier than ever before. The applications of the Internet-of-Things seem endless, and it’s poised to be the next big growth engine for the tech economy. Can I Use IoT Devices to Make My Life Easier? To the average person it might seem like these new technologies are happening in a high-tech bubble. There are a number of cool IoT devices being sold, but many of them might seem unaccessible due to high price tags. Fortunately you’re here at SimpleIOThings, where you can learn to make IoT devices that cost about $10 dollars. These devices can tell you when your smoke alarm is firing, when your fridge door is open too long, or send messages at the push of a button. Head over to the “Get Started” page to learn about how to start using the Internet-of-Things to make your life easier.